I saw Neptune theatre's musical performance "La Cage Aux Folles" the other day. Today's picture comes from their website where you can find more information http://neptunetheatre.com/default.asp?mn=1.22.143 It was a terrific performance. This musical, first written by Jean Poiret, opened at the Theatre Royal in 1973 and ran for seven years. It has since been produced in film version as well. An English version, "The Birdcage", staring Nathan Lane and Robin Williams was produced in 1996. I haven't seen the movie but I'm going to keep my eye out for it. If it's anything like the musical it would highly entertaining. The basic plot line is focused on a couple that live what would be considered by many to be an "alternative lifestyle" in the French Rivera. Georges is the owner of a popular nightclub and his partner, Albin by day, becomes the amazing ZaZa by night, a glittering, glamorous transvestite and the star of the nightclub performances. The arrangement works well until Georges' son wants to bring his finance's straight laced, political parents home to be introduced to a "normal" family. The musical is a comedy. It is full of one-liners, farce and all things outrageous. But I couldn't help thinking there were so many thought provoking lessons mixed in there that I could really think about and sort through as I was being entertained. Perhaps because, I was being entertained and not thinking about judging. The theme is really one of tolerance, acceptance, and the meaning of love in a variety of forms. We've been seeing evidence of a lot of in-tolerance these days. In my part of the world, there has been an incident in a high school where the wearing of a t-shirt proclaiming, what some might call, a religious belief sparked a pretty heated debate over tolerance or the lack thereof. It occurred to me that it would great for this play to make the rounds of high school audiences. I can hear the outrage now- but I'm just saying, it would be nice if that's where we were in the world. I guess it would be even better if we were past needing that. I'm also not saying that I think teenagers are less tolerant than adults. In fact, I believe quite the reverse. But I think our in-tolerance probably begins to take it's deep roots sometime around our teen years and if we could shake those roots up a bit and talk about how we feel, we might evolve. I think, what the characters in the musical learn, is that tolerance comes from within. When we fully accept ourselves for being what we are, with no excuses or explanations we then are able to tolerate all those around us. This happens when we stop comparing our self with others. When we truly believe what one of the songs repeats, "I Am What I Am", then we don't judge others in comparison with ourselves. We don't need to line up those that are "for us" and those that are "against us". There are no sides, and therefore no argument. It seems to me that when we aren't sure of ourselves we keep trying to pull people "over to our side", or way of thinking, our lifestyle, or we push them to the other corner because they aren't like us, or we don't want to think they are. When we feel confident, we don't need to convince anyone else our way or lifestyle is right. We can feel good in our own skin. Beech is a Bach Flower essence that is recommended for intolerance. http://pixiedusthealing.blogspot.ca/2011/10/bach-flower-beech-for-irritability.html It's very helpful when you find yourself making criticisms of others and feeling very judgemental. When in a Beech state you find it hard to see the good in others and often have a strong sense of superiority. You are easily irritated by others, including their mannerisms and habits. Most of us get a bit "beechy" now and then and could use the soothing nature of Beech to help us feel the good in others. But it occurs to me, that if you require the Bach Flower Beech, perhaps you also could use a balancing dose of the Bach Flower Crab Apple. http://pixiedusthealing.blogspot.ca/2011/02/crab-apple-cleansing-bach-flower-remedy.html Crab Apple is recommended for those that suffer from poor self-image. It's considered a cleansing essence for both body and mind. It's helpful for people that feel embarrassed by unpleasant physical symptoms or what they believe to be internal imperfections. If you're in a Beech mood, you probably think the last thing you need is CrabApple. And that might just be when it's most required! You don't have to think this deeply to just enjoy the entertainment of the musical. You can admire the costumes and the props, the glamour and glitter. You can be amazed by the actors ability to dance in high heels and transform themselves. You can appreciate the talent required to be able to pull all that off. You can marvel over "the ability to put yourself out there on stage". You can sit back as the audience and just appreciate the drama and comic relief of a good show. Maybe you'll consider your role in the production http://pixiedusthealing.blogspot.ca/2012/04/role-assignment-7-chakras.html Maybe you'll feel a lightening as you let go of two layers of self:; the one that judges and the one that is judged. 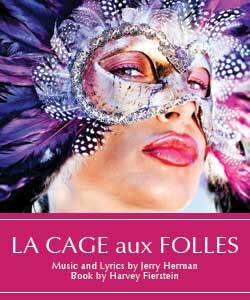 The French version of "La cage aux folles" is a must. Acceptance and tolerance are also the qualities that 2012 carries within its core since it's attached to the 5th Tarot arcana, The Pope. They are true agents of the must needed revolution of the 21st century. Thanks to you Heather to guide us with the Flower essence that can restore such essential components of the human heart. A very nicely written article, Heather. I love the way you introduced the flowers and their qualities.